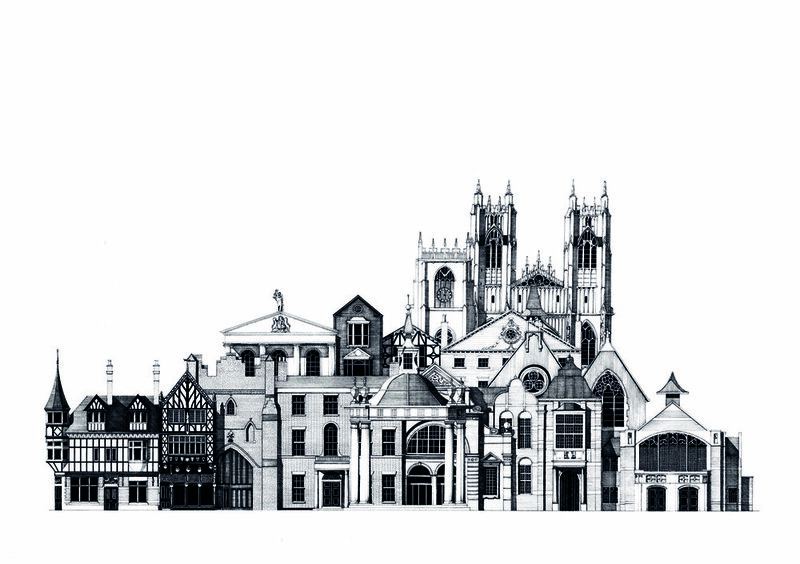 Pen & Ink illustration of the Yorkshire towns's historic architecture. 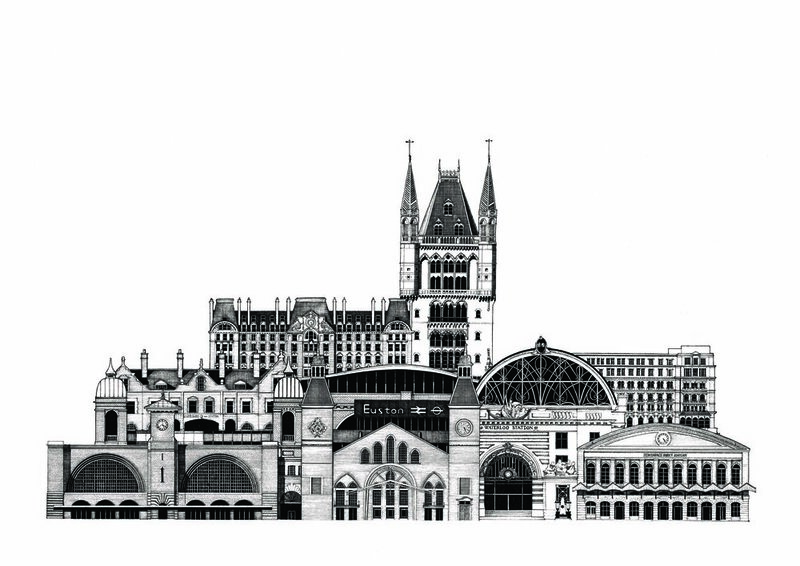 Pen & Ink illustration depicting 12 of the capital's most iconic railway stations. 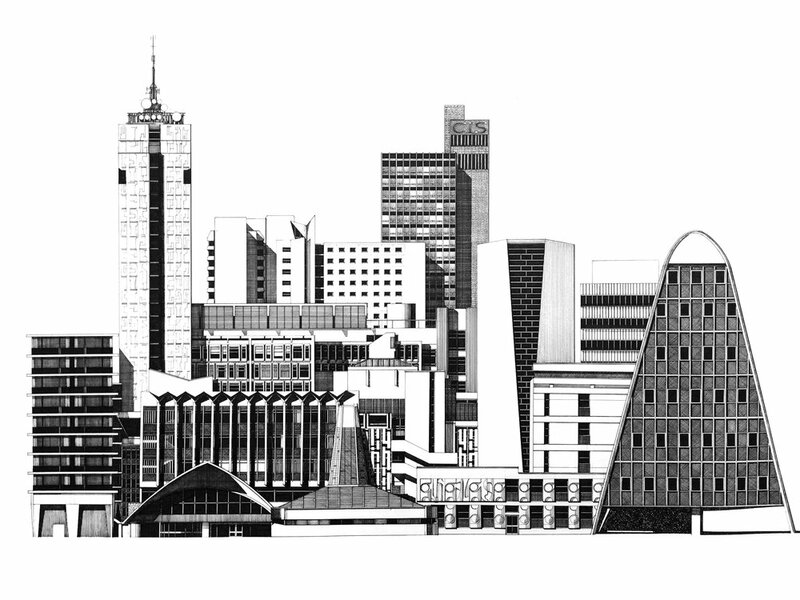 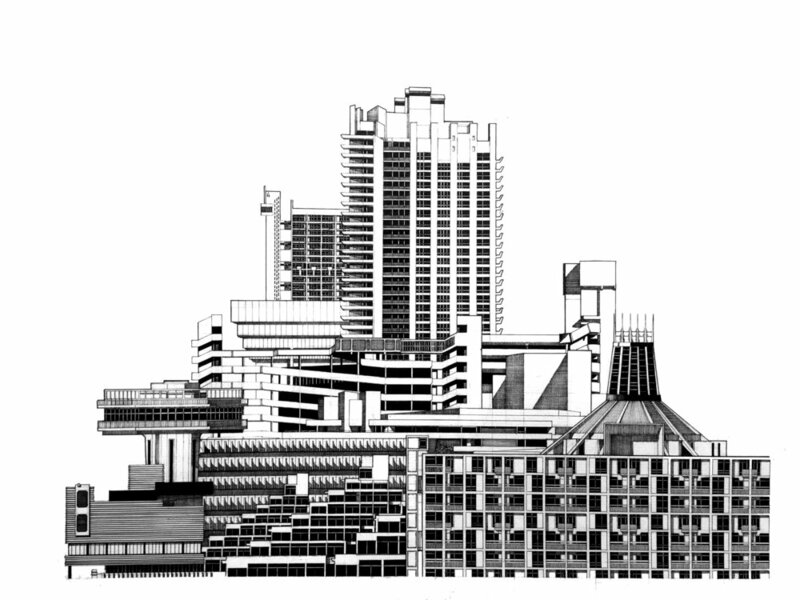 A selection of the worlds most iconic modernist architecture. 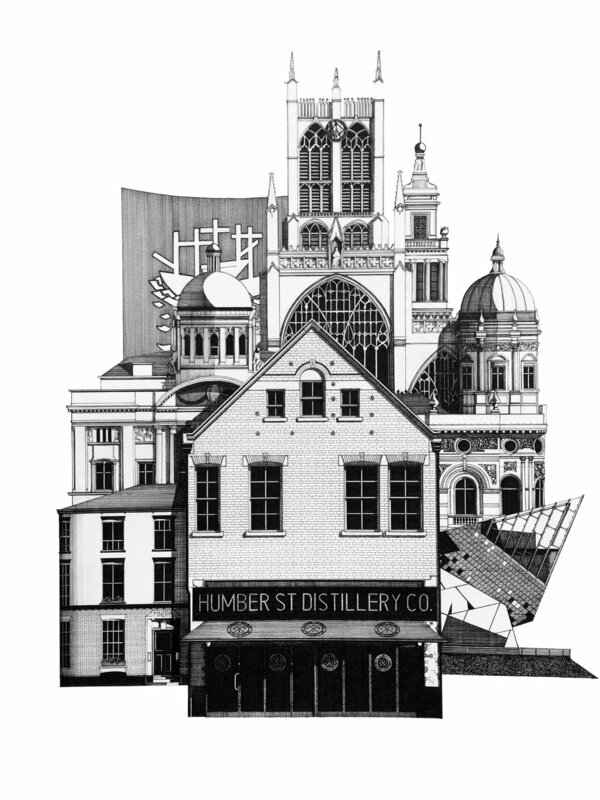 Gin label for the Spirit of Hull gin showing the iconic architecture of Hull as well as the distillery’s home and bar.